We are the leading boutique Search Engine Optimization (SEO), Web Design/Development and Online Reputation Management firm representing clients throughout the US and Europe. Web Reputation Builders has been around for over 10 years, with a proven track record of satisfied clients and exceptional results. Our team consists of highly skilled SEO consultants and web designers that can assist any business, large or small, with their online marketing needs. Web Reputation Builders prides itself in giving each client personal one on one attention. As a boutique firm, we limit our services to two businesses of the same industry per city. This insures that there is no conflict of interest or competition among our clients and that each client receives our dedicated commitment to maximizing their company&apos;s potential for visibility in the search results. 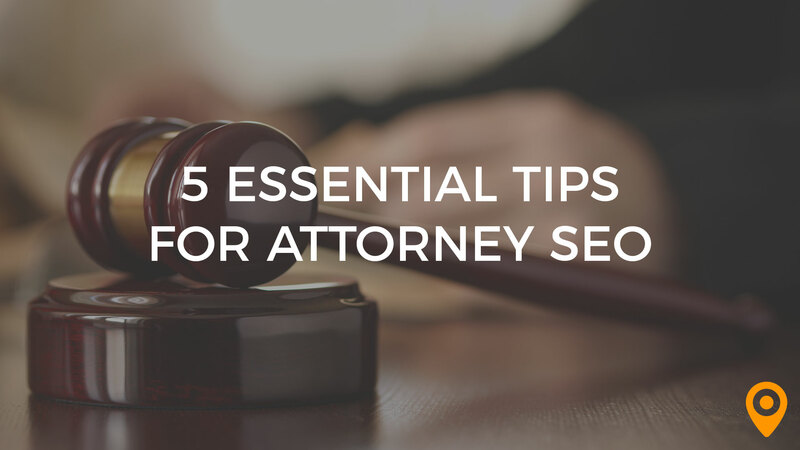 Following these five essential tips for attorney SEO will provide your law firm with a competitive edge to obtain more visibility and client leads. Web Reputation Builders helped me get my law firm website to come up very high in several key word searches for my law firm. The only thing I would recommend is an improvement on the speed of results. Instead of 1 or 2 weeks to get the search positioning it took more like 1 to 2 months. I had been paying a larger company a bunch of money each month for no results. I never came up in organic search results and it was hard to find my firm even when a client was searching directly for me. After working with Web Reputation Builders my law firm comes up for several key search results and traffic to my website and to my firm has increased dramatically. They are substantially less money than the bigger SEO firms, they provide personal service and work with you to provide the best strategy for your business goals. They will help you develop a winning strategy. They even helped a friend of mine combat a bad review and a false rip off report. I would highly recommend this business for your online marketing, web design and online reputation management needs. Extremely helpful and knowledgeable professional that got our architecture firm great results! If pressed to say something, I would say that it took a few months to get the results; but that was explained to us initially. Execution of marketing and SEO Strategy that works for our law firm! Sometimes the phone calls and website contacts we receive are not cases that we would like to take on. But this only happens a minority of the time. Craig and his company, Web Reputation Builders, have made a significant impact to our firm’s bottom line. He has provided excellent and responsive services to our law firm. He has effectively executed a marketing and search optimization strategy that has been crucial to our business growth. Craig has shown the talent and creativity to differentiate our law firm from our competition. After optimizing our firm’s website, we saw immediate results. We actually received a few phone calls that resulted in our engagement by new clients within the first month. Those type of results have continued to grow over the successive months. I would not hesitate to not only recommend Craig, but to have you call me directly for why Craig should be part of your Internet Marketing Strategy. Attention to detail, expertise and results. They helped my website get more traffic and rankings! I can't think of anything that I was not satisfied with. Craig and his company Web Reputation Builders has been so amazingly effective in helping my healthcare interior design firm get top billing in search engines. Collaborating with Web Reputation Builders on SEO activities has been a great experience. You really came through for us and provided great direction and advice! The team at Web Reputation Builders are very professional and are a big help to our practice! Honestly, there is nothing I can think of. They did a great job and delivered beyond my expectations! I highly recommend Web Reputation Builders as part of your company's marketing "team". Before I hired WRB to do my online marketing and design, I got my clients through word of mouth and newspaper advertising. Over the last few years I realized the old ways of advertising (local magazines, trade papers, etc) were not working as well as they had in the past and that I needed to have a professional internet presence and online marketing plan. Craig and his designers at Web Reputation Builders walked me through the online marketing process, explaining to me in layman's terms the best online marketing strategy for my business to meet my company's goals. WRB built me a professional website for a very reasonable price, set up my social media sites, and optimized my website so that I am showing up not just on the first page, but #1 for my desired search terms. We consider WRB as part of our "team" since they continue to help my company's online marketing and reputation evolve as my company's needs change. This has really helped my business increase our traffic and obtain new clients in such a competitive market.